Chief of the Army Staff (COAS) Gen Rajendra Chhetri has returned after a visit to United Nations Organization Stabilization Mission in the DR Congo (MONUSCO) and United Nations Mission in South Sudan (UNMISS) on 9th April 2018, which began from 2nd April 2018. 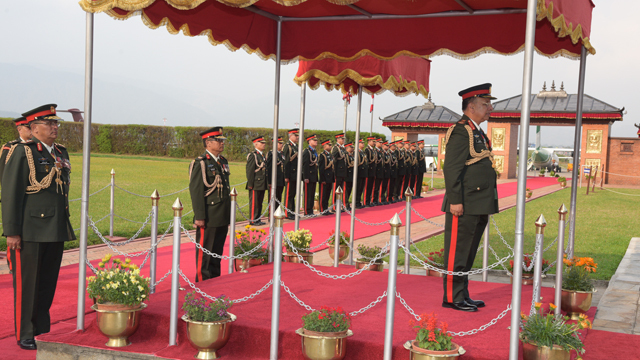 During his visit, COAS Gen Chhetri scrutinized work ambience of Contingents, operation, logistics and other aspects. COAS Gen Chhetri also addressed deployed Nepali Army peacekeepers of MONUSCO and UNMISS mission. Strength of 895 and 1586 Nepali Army peacekeepers are serving in DR Congo and South Sudan respectively. 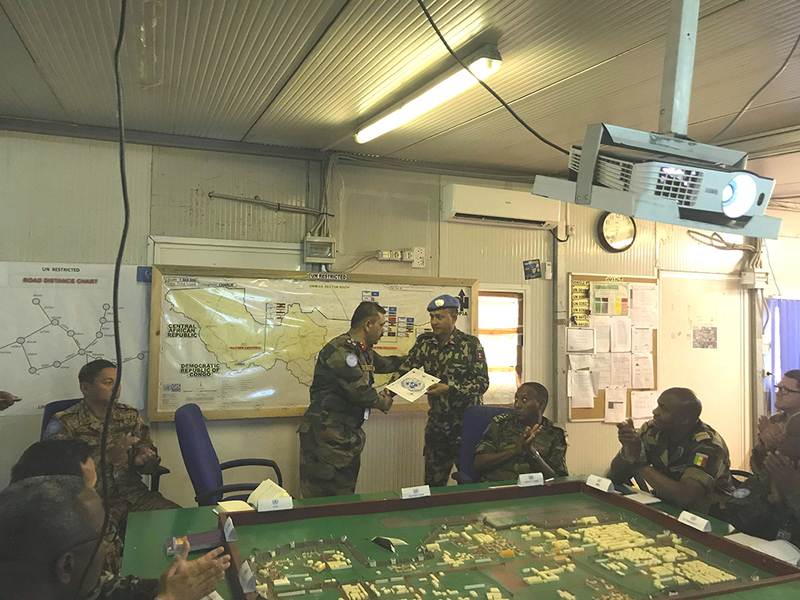 In MONUSCO mission, COAS Gen Chhetri interacted with Acting Force Commander Maj Gen Bernard Commins, Brigade Commander Brig Gen Ihteshamus Samad Chaudhary of Ituri Brigade, Central Sector Commander Brig Gen Vivek Tyagi and Acting Head of Office Mr Salami Adam along with high ranking officials and Nepali UN staffs. Likewise, in UNMISS mission, COAS Gen Chhetri also interacted with Chief of Defence Force Gen James Ajonga Mawut Unguec Ajonga, Special Representative of Secretary General (SRSG) Mr. David Shearer, Force Commander Leiutenant Gen Frank Mushyo Kamanzi, Governor of Western Lakes State, Rumbek Major General Matur Chut Dhuol. COAS Gen Chhetri's visit to mission areas and interaction with own forces and other dignitaries from various walks of life has increased the goodwill of Nepali Army and also uplifted morale and motivation of the troops serving in the respective mission. Nepali Army believes that the visit has promoted goodwill and further strengthened ties with DR Congo and South Sudan.